Every once in a while, European newspapers will be filled with attractive headlines such as ‘Belgian citizen wins jackpot of EuroMillions and takes home 150 million euros” or “Irishman wins 88.5 million euros in EuroMillions”, that are sure to grab your attention as well. It is obvious that this lottery boasts huge cash prizes. However, as there are multiple European countries taking part, your actual odds of winning the jackpot are pretty small. Yet if you do manage to do so, then EuroMillions is guaranteed to instantly turn your life upside down. EuroMillions is the biggest lottery of Europe. It is inspired by the lotteries from the United States, such as Mega Millions and US Powerball. These games of chance have been popular for a longer time, mostly because of the gigantic cash prizes that can be won. Something like this was just waiting to be organised in Europe as well. 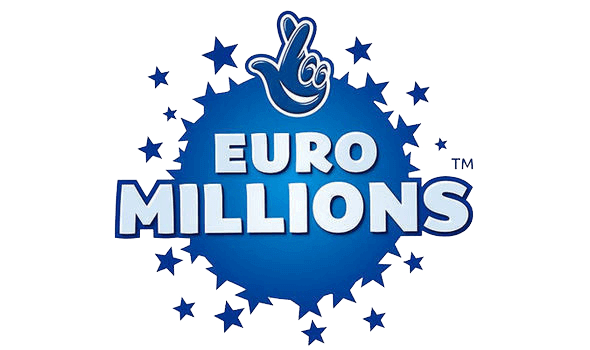 The first draw of EuroMillions took place at the start of 2004. At that time, only three countries participated: the United Kingdom, France and Spain. However, the number of participating countries increased in that very same year, adding Belgium, Austria, Portugal, Ireland, Luxembourg and Switzerland to the roster. These nine countries are still taking part today. Besides, it is now possible for players from other countries to take part in Europe’s biggest lottery as well. This can simply be done online. Taking part in the EuroMillions lottery is actually fairly simple. The lottery ticket that you purchase consists of a grid of fifty numbers. You are supposed to select five of those numbers. But this is not all! Below this grid, there are an additional twelve stars with numbers in them, that you have to select two from. After that, you can sit back and wait for the draw. Aren’t there any numbers popping up in your mind that feel right when filling in the form? Perhaps you would prefer the so-called Quick Pick. With this, the number combination is randomly determined by the computer. The draw of EuroMillions takes place every Tuesday and Friday in Paris. Because of the great interest in this lottery, the draw can be watched on live tv in most of the participating countries. With the lottery ticket in hand, you can watch the numbers appear on the screen one by one. This only adds to the excitement, especially if you happen to get the first few numbers right! The draw always starts with the five winning numbers of the bigger grid. Once this draw is done, the balls with the stars will follow. If you never took part in the EuroMillions lottery before, you will perhaps consider the one grid of numbers to be more than enough. Although players who really get the hang of it, might quickly opt for multiple singular lottery tickets at the same time. You spread your chances, which can lead to decent profits. EuroMillions also has multiple lottery tickets, besides the singular ones. With the multiple lottery tickets, you can select more than five numbers and two stars on the ticket. The advantage is that your odds increase that the combination you filled out will appear during the drawing. The price of such a multiple ticket is therefore significantly higher than the prize of a singular ticket. To select all of the correct numbers and stars on your lottery ticket, is still quite a task. Thankfully, you only have to get two right in order to win. Although it is obviously better if you manage to correctly predict more of them, as this will win you more money. The smaller prizes start at some 4 euros, although the exact prize can never be predicted ahead of time. For each winning category, the total amount of prize money will be divided by the number of winners. As such, you might find yourself in more luck the one time when compared to the next. The motto for EuroMillions could not have been chosen any better. Because if you do happen to win the jackpot, you will indeed become filthy rich. The jackpot of EuroMillions starts at an amount of 17 million euros and might even add up to 190 million euros. Each time that a draw does not result in a jackpot winner, the amount will be increased by a certain percentage of the total bets placed. Obviously, it will take quite a while before the maximum jackpot has been reached. If you happen to get all the numbers and stars right, this actually does not automatically mean that the entire jackpot amount will be yours. Another player could just as easily have filled out the very same combination, as a result of which you will have to share the profits. For each regular draw of EuroMillions, you will have a shot at winning the jackpot. Although besides this, there is still a little something to keep in the back of your mind: the SuperDraw. Up until 2016, this special draw took place three times per year. Nowadays, the organisation behind EuroMillions will decide for itself when and if the time has come for another SuperDraw. An important date or a big event might just be all the reason they need to organise such a draw. As the SuperDraw only takes place sporadically, it has to be something special. But what does it actually entail? Basically, this lottery is not any different from what you are used to from EuroMillions. You purchase a lottery ticket and select five numbers and two stars. What really makes the SuperDraw special, is the sheer size of the jackpot. Regardless of the amount that was already in it before, the SuperDraw increases it to 130 million euros. If there is no winner, the amount that can be won will increase to something over 130 million euros in the next draw. So, it serves as a pretty great boost of the jackpot. For many people, this creates an incentive to try their luck and buy a lottery ticket for the next draw. In the nine participating countries, you can simply buy EuroMillions lottery tickets in the store. However, for players from other European countries – or from outside of Europe -, it is only possible to purchase a lottery ticket online. Unless you decide to purchase a EuroMillions lottery ticket by physically travelling across the border, obviously. Would you like to try your luck in the EuroMillions lottery? Then you can simply purchase a lottery ticket through TheLotter.com. You will receive the official EuroMillions lottery ticket in your email, so that you can easily access it. And who knows, this time around, your lottery ticket might just contain the winning numbers. Ready to win the EuroMillions? EuroMillions is the biggest lottery of Europe, that is organised in unison with other national lotteries, such as the UK National Lottery and the National Lottery of Belgium. 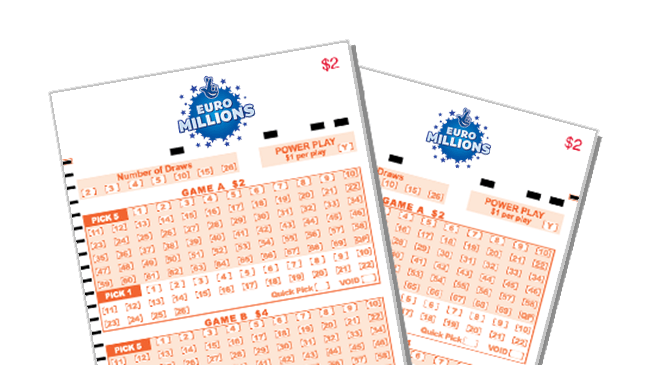 EuroMillions is particularly well-known for its mega jackpots that can add up to dozens of millions of euros. Would you like to have a shot at winning a huge jackpot as well? Then simply take part in EuroMillions and receive a specular 15% discount through Loten.com when purchasing lottery tickets for 5 draws. This offer is valid for a limited time only, so act quickly! Get your EuroMillions tickets here!